There are quite a few juveniles birds along the Greens Bush Baldry circuit. 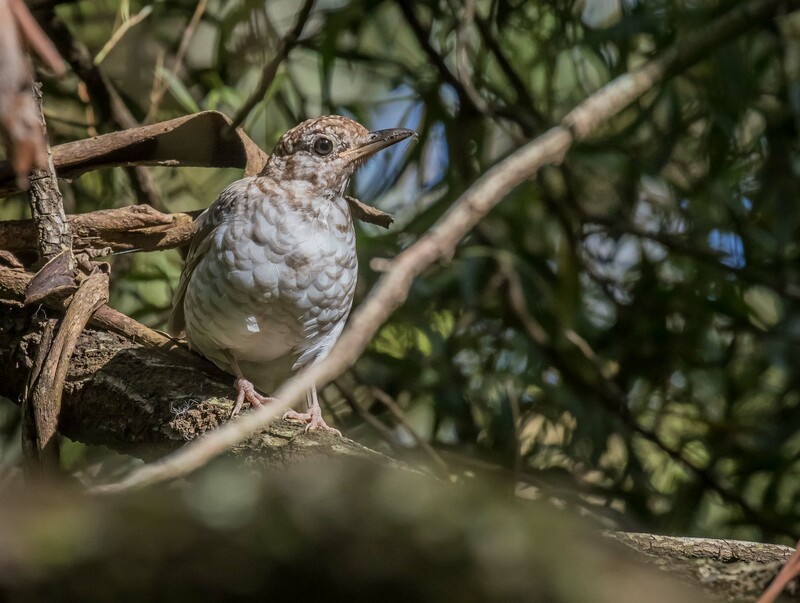 It has been a fairly good breeding season and I am seeing many young birds from a few locally common species….Grey Fantails, Red-browed Finches, Brown Thornbills, White-browed Scrubwrens and Bassian Thrush. The one pictured below was feeding on the track where I often find them. Being a young bird it has yet to learn what to fear and flew up to a nearby branch and tried to figure out what I was up to.